Are you dreaming of a Parisian baby shower – complete with Eifel Towers, sophisticated style, and delectable appetizers and desserts? Paris is well known for its array of delicious foods, which is exactly why a Parisian themed event wouldn’t be complete without some classic French eats. Your guests will surely swoon over these mouthwatering picks, so be sure to click the links under each image to get the full recipe! This is going to be one irresistible soiree! 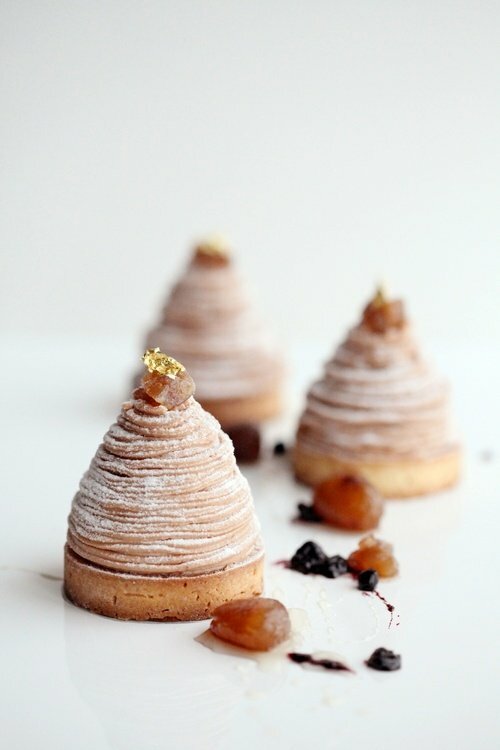 This savory pastry is made of a pâte sucrée base (a sweet pastry dough), and filled and topped with almond cream, chantilly cream, blackcurrant (dark berries), chestnut cream and chestnut mousse. Heavy in flavor, this delicious pastry is definitely worth a taste. 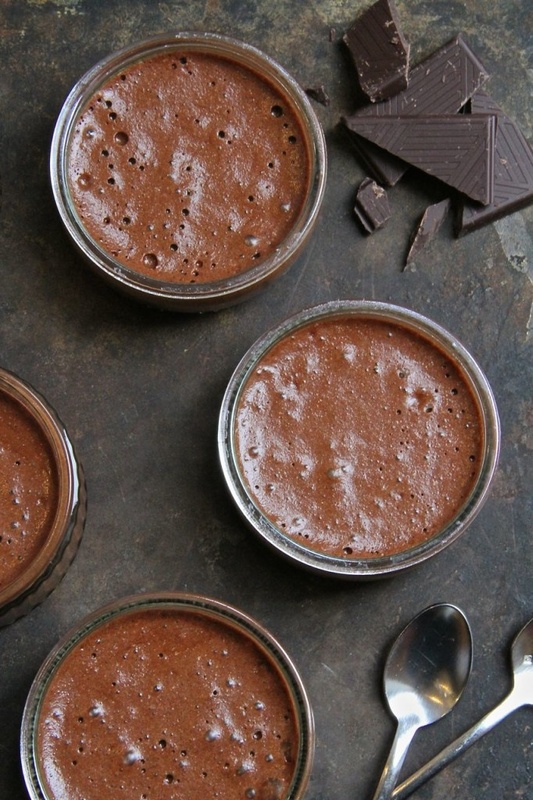 Airy yet rich in flavor, this French chocolate mousse is sure to satisfy all of your guest’s taste buds. A mixture of dark chocolate, coffee, and rum make the flavor extra sensational. 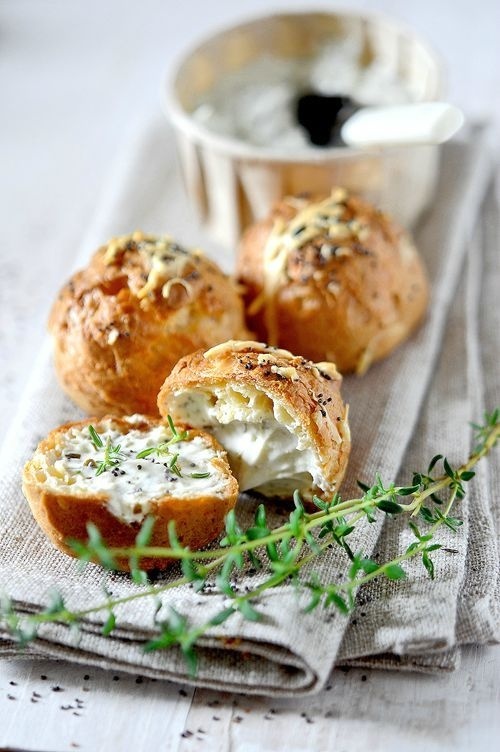 This fluffy dough pastry is cooked until golden brown, with a tasty melted cheese center and sprinkled with yummy herbs. It’s a great French appetizer that satisfies any salty cravings! 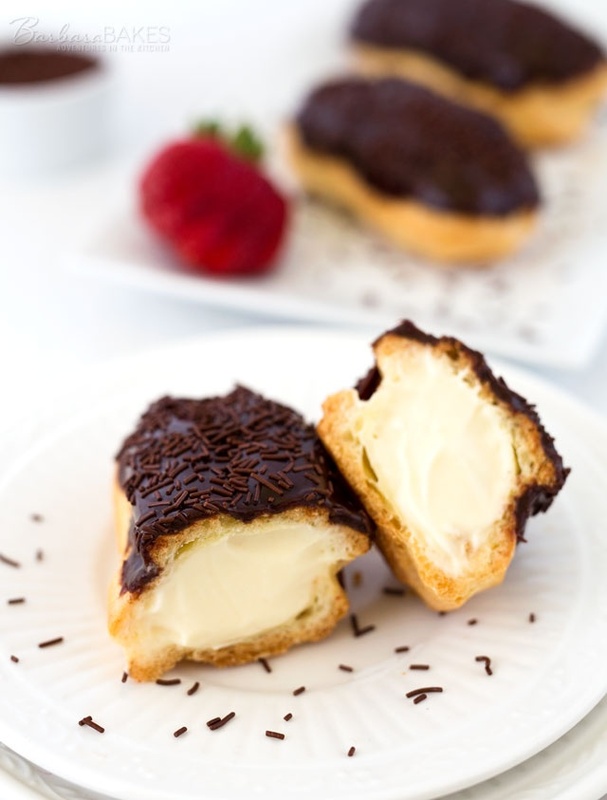 These sweet chocolate eclairs have a crisp, buttery outer shell that is filled with vanilla cream and topped with a rich chocolate glaze – similar to the idea of a donut! Trust us your guests will love this sweet treat. No dessert says French to us quite like macarons. We love the flaky yet easy-to-bite-into outer confection of almond flour and sugar and also can’t resist the sweet creamy buttercream filling. 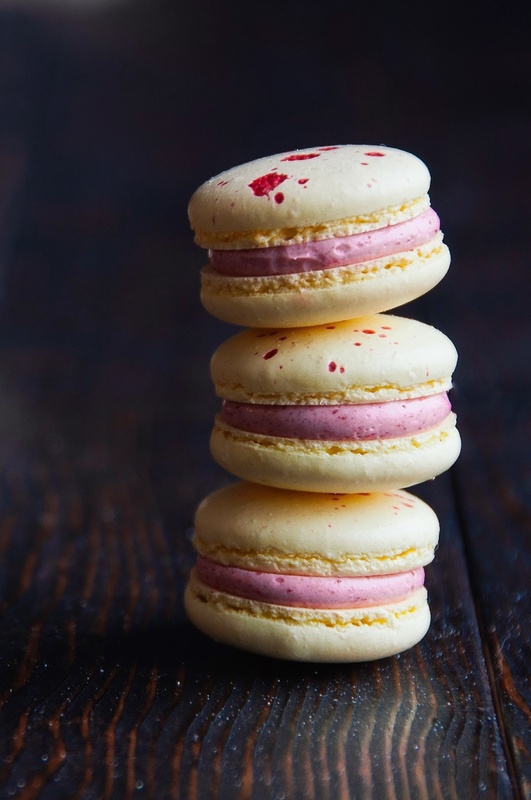 There are many flavors to choose from, but this lemon raspberry macaron sounds extra heavenly to us! 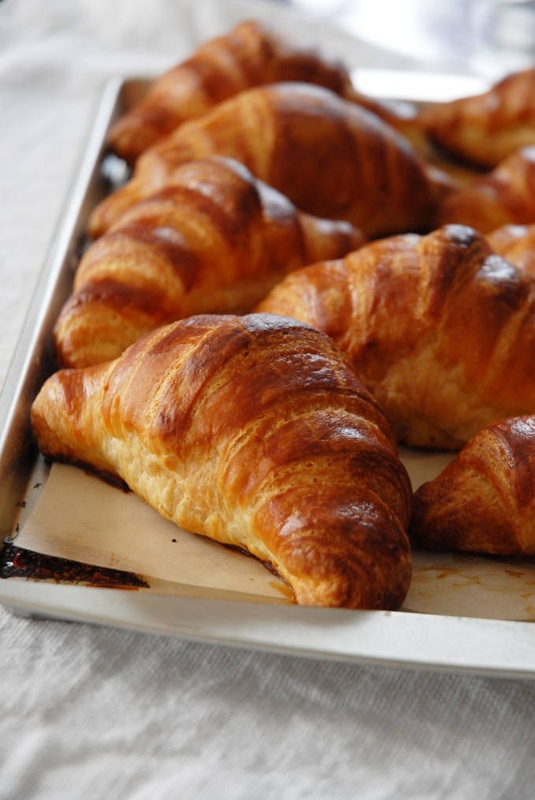 Croissants are so much more than just bread, their flaky, buttery goodness is absolutely irresistible! You and your guests will love munching on these mouthwatering, French delights. 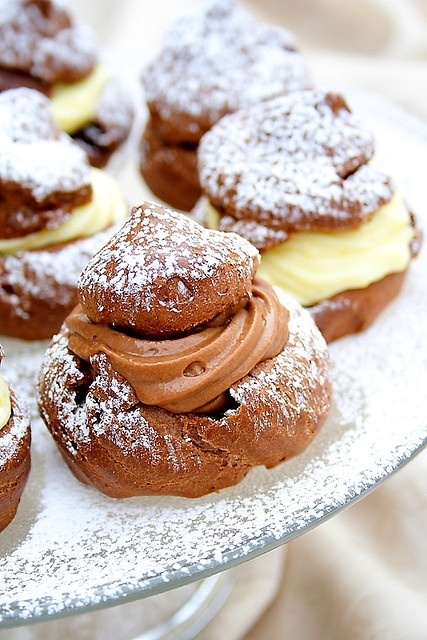 Pump up the flavor of traditional cream puffs with this savory chocolate edition! This doughy pastry is light and fluffy and has a blast of flavor with each creamy, satisfying bite. 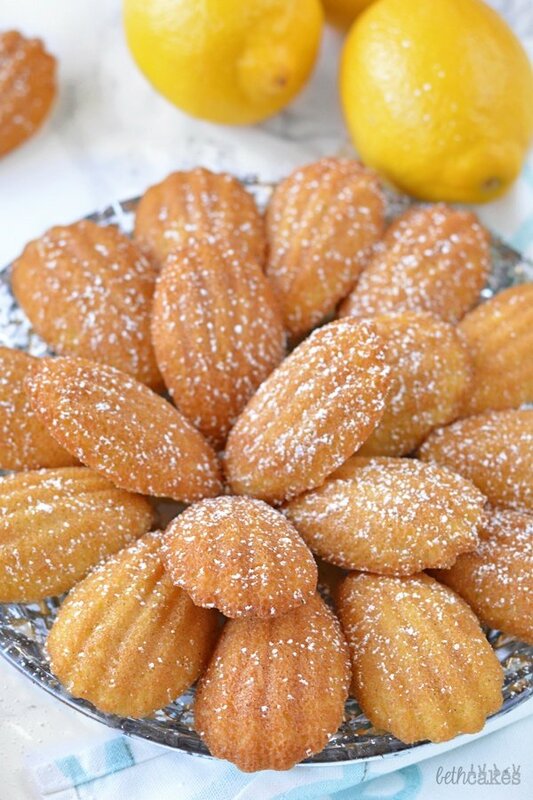 Madeleines are small French cakes that are both light and fluffy. The traditional shell shape makes these sweets easy to eat and madeleines are also incredibly easy to bake! 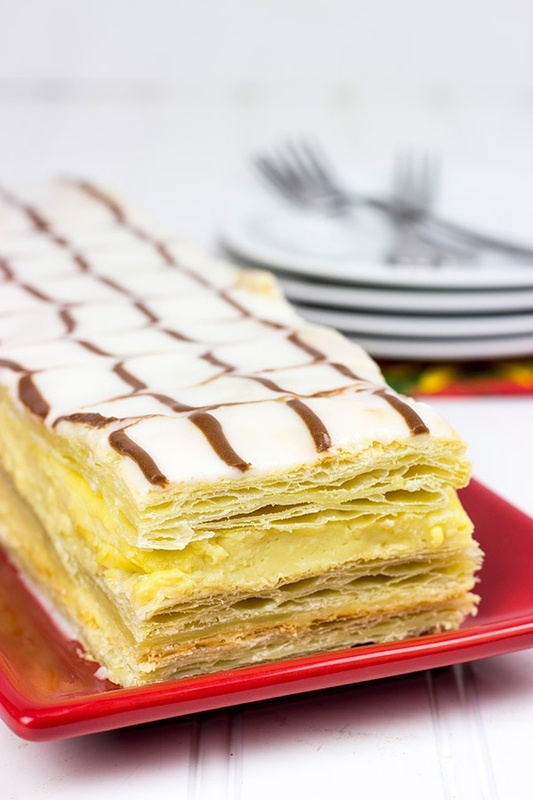 This French dessert has layers of flaky dough accompanied by sweet vanilla cream. The combination will make your taste buds go wild! This creamy dessert is made of delicious rice pudding with caramel sauce and baked praline walnuts. 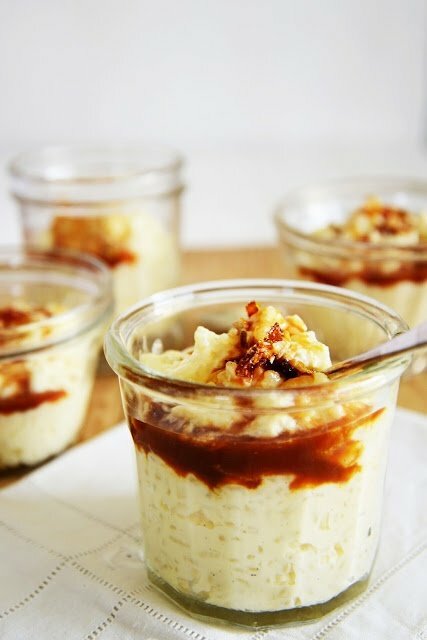 The mix of subtly sweet rice pudding, rich caramel sauce and crunchy walnuts will delight you and your guests, and because this dessert is served in a bowl or cup, it’s super easy to serve! 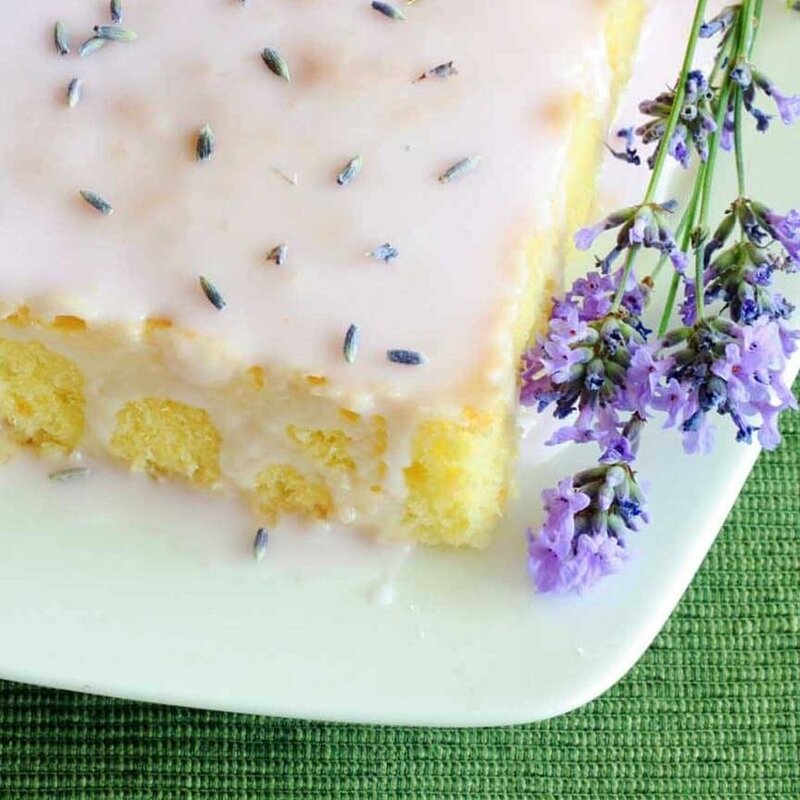 This French almond cake with a lemon lavender glaze not only tastes extraordinary, it looks oh-so-pretty too! You’ll love this cakes fluffy texture and enjoy the sweet glaze and presentation as well. These bite-sized French treats are a must try! 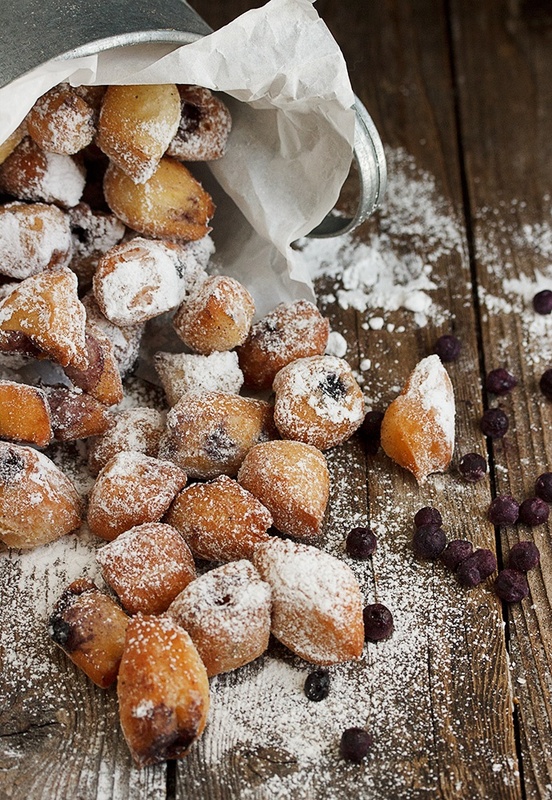 Depp fried yet fluffy, these doughy confections are accompanied by sweet blueberries and topped with powdered sugar. 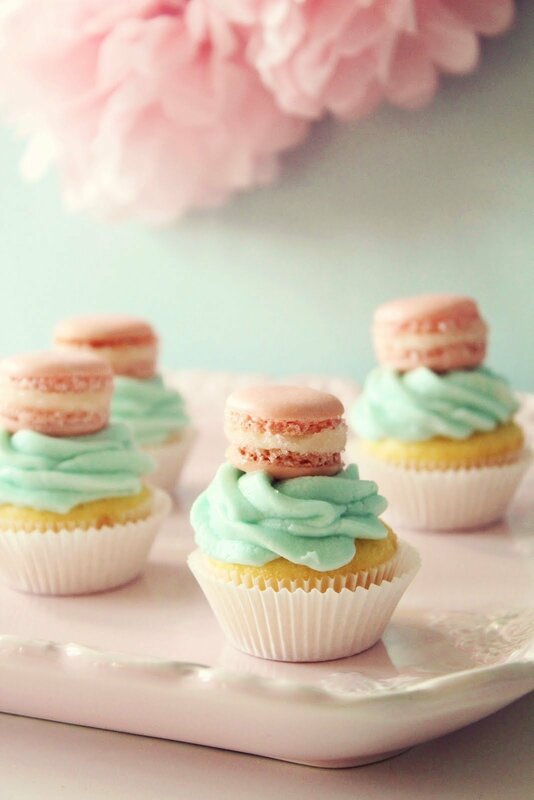 These cupcakes with mini macarons on top are a sweet take on the classic French treat. These are the perfect way to combine your love for both tasty desserts. 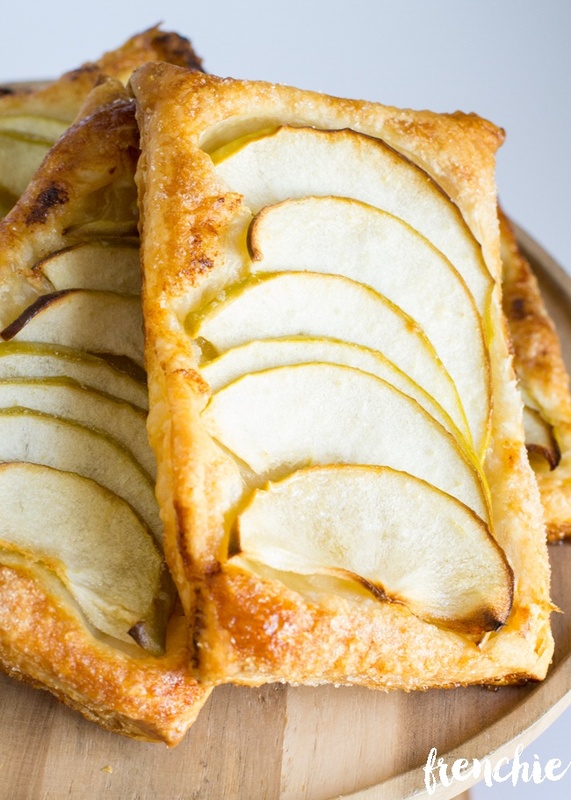 These French apple tarts are both flavorful and easy to make. Baked until golden brown, this flaky and sweet pastry includes granny smith apples and apricot jelly. 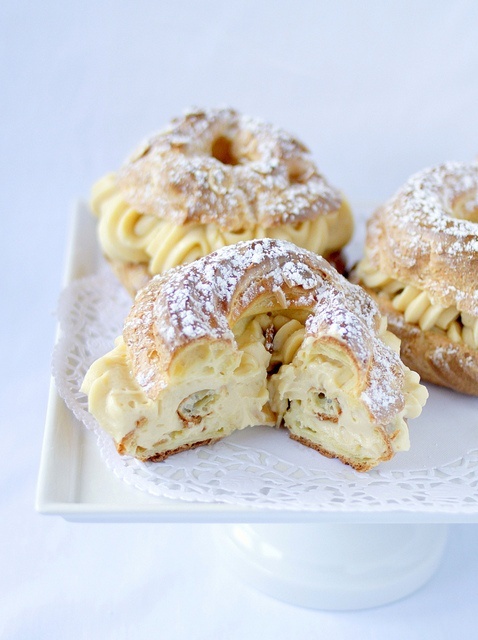 Similar to cream puffs, this sweet pastry has a doughy outside and is filled with a praline-infused cream. Delicious! 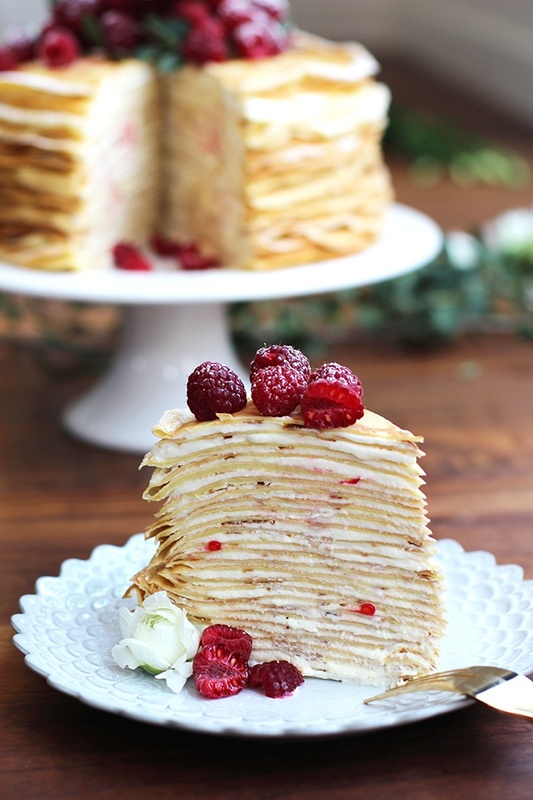 You won’t be able to resist this sweet crepe cake, made with layers of pancake-like batter, raspberries, powdered sugar, and whipped cream. Which of these are you dying to serve at your Paris themed baby shower? Is there another recipe you would like to share with us? 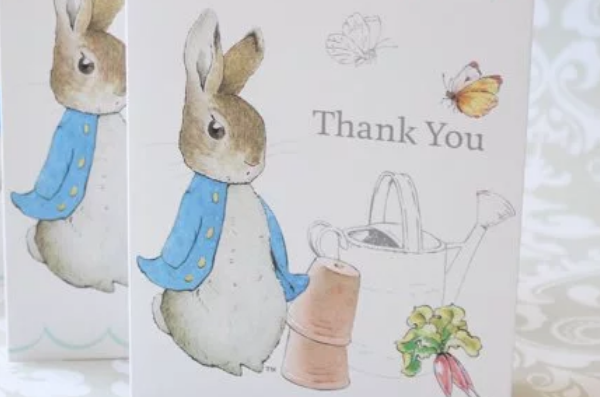 We love to hear back from our readers, so please feel free to leave us a comment with your thoughts! Irresistible Treats For Your Superbowl 50 Party!